Since the new iPhone 7 no longer includes the 3.5mm audio jack, we start seeing a new wave of Bluetooth headphones on the market. The budget in-ear headphones attract a lot of iPhone users as the new Apple AirPods are too expensive for most of us. 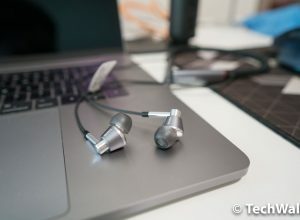 Savfy has released an interesting pair called Savfy neckband Bluetooth headphones and, spoiler alert, these are among the best budget in-ear headphones I’ve ever used. Keep reading for the detailed review. 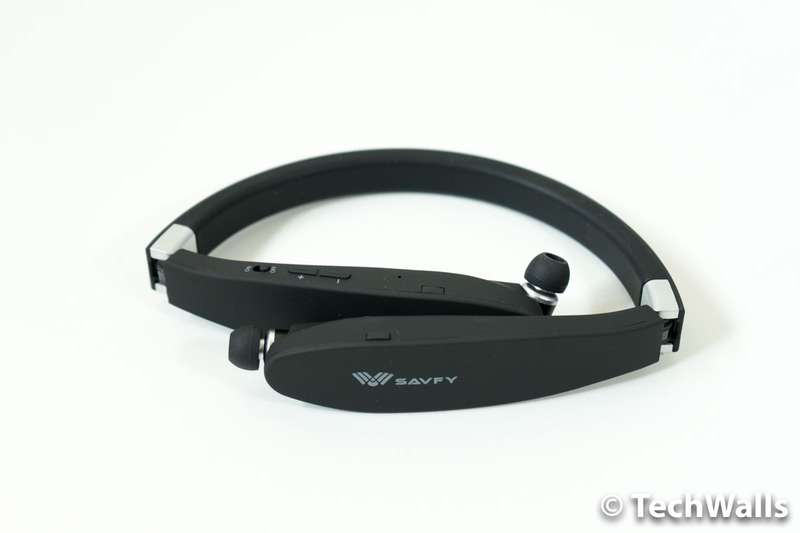 The Savfy headphones’ design is similar to some other neckband headphones on the market, like the Samsung Level U and especially, the LG Tone. They have the shape of a band that can sit sturdily around your neck. What is interesting here is the retractable earbuds. You can pull the earbuds out of the neckband, and when you’re done listening to music, you can retract the cords with a simple button press. 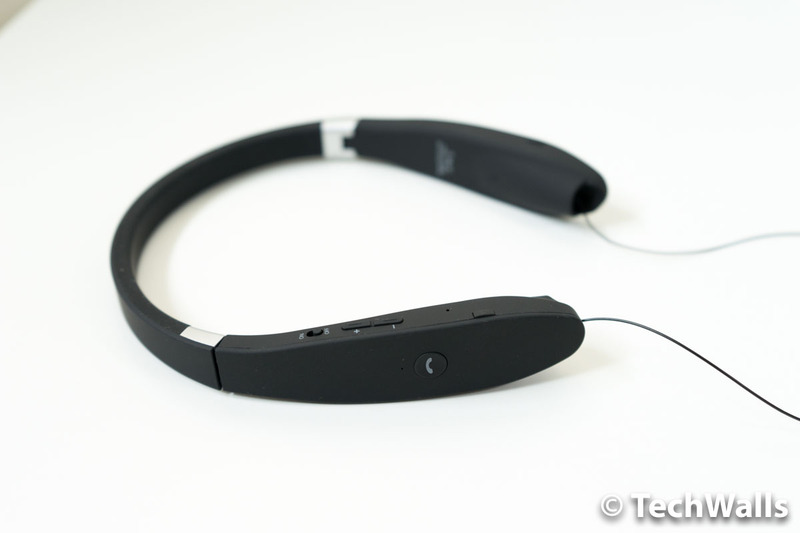 It seems like Savfy borrowed the idea from LG Tone headphones as the mechanism is pretty much the same. 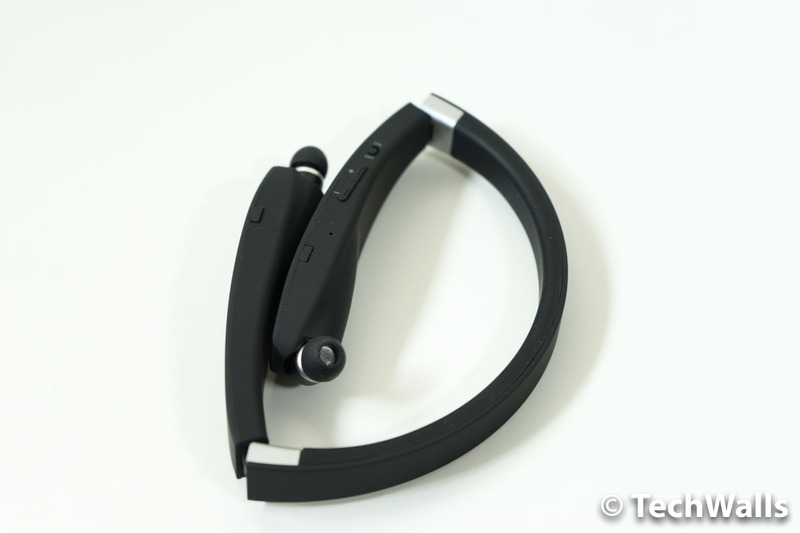 However, they made the Savfy headphones even more compact with the foldable design. 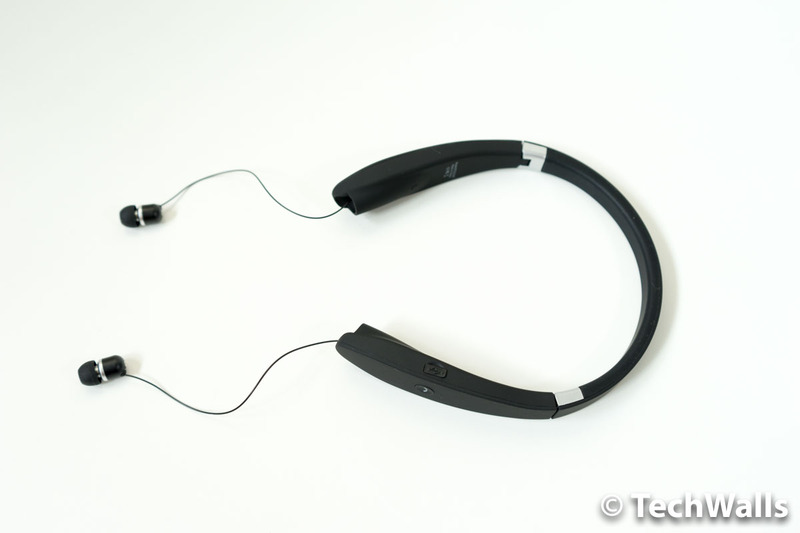 You can fold the 2 sides towards to top of the band, so these become the smallest headphones among those similar products. Inside the box, there are just the Savfy headphones, an extra pair of eartips, and a USB cable. There is no carrying pouch, and I believe you don’t need one because the headphones can be tossed anywhere. All buttons and connections are placed on the right side of the band. There are an On/Off switch, volume rocker or previous/next button, a multifunction button on the outside, and a microUSB port underneath. 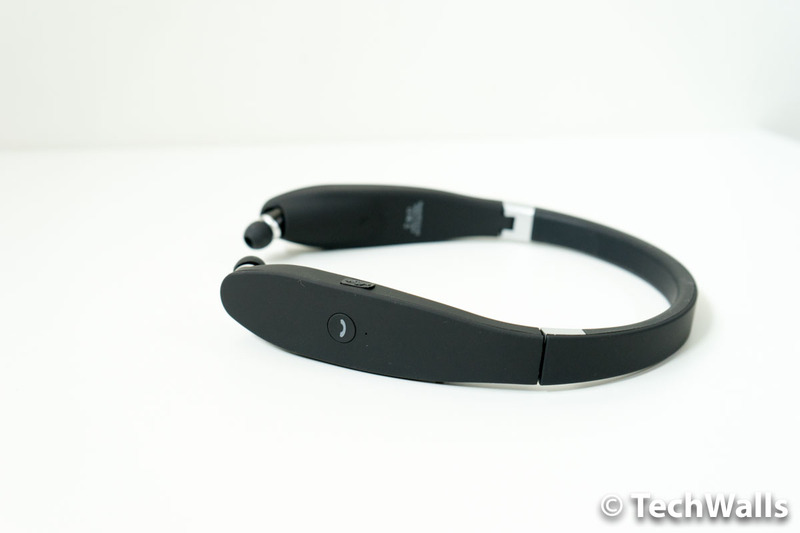 The Bluetooth connection of the headphones is quite amazing. It has a good range and I hardly experience any interruption. I also love that they have voice notifications when I’m going too far from my smartphone. 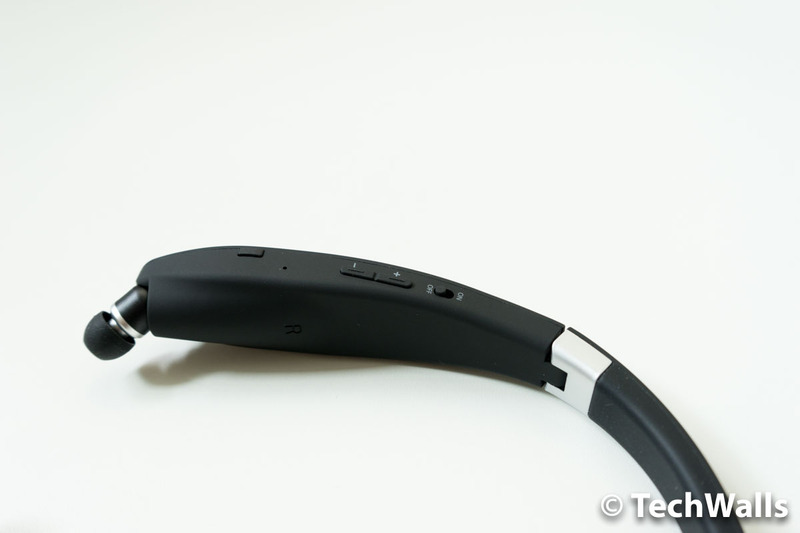 I’ve tested a lot of budget in-ear headphones but none of them could beat the consistent connection on these Savfy headphones. The battery life is also longer than most of them. It is rated at 16 hours for music playback and 18 hours for phone calls. As these are canalphones, the eartips fit snugly inside my ear canals. A huge benefit is the excellent noise isolation from the outside world. Besides, the bass is boosted significantly, and I believe many people will enjoy the sound signature. This is the V-shaped sound with the emphasis on lows and highs while the mids are slightly recessed. The treble is high and clear, but there is absolutely no distortion even when I crank up the volume. 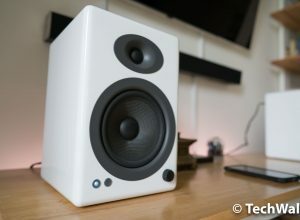 If you are an audiophile looking for an accurate representation, you can find that the sound is a little muddy due to the overwhelming bass. So, you might love it or hate it, depending on your taste. In my opinion, there are among the best-sounding wireless in-ear headphones in this price range. 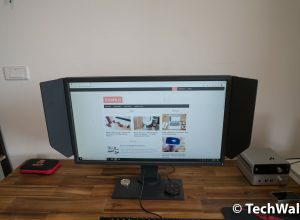 We at TechWalls recommend the product. Good-sounding in-ear headphones in a portable design. I am In USA and I wan to but this .Could you tell me where can I buy it. You can buy the headphone on Ebay. 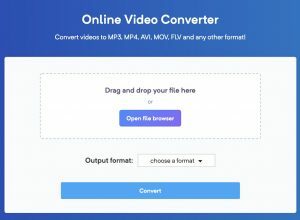 If you want to know more about Savfy, please contact [email protected] Thanks! This Headphones can be good substitute for Airpods cause of their prize & also there are verry less chances of loosing them cause its single piece.